A parent came up to me and thanked me for sending her kid home with a beautiful terrarium for her to keep instead of kids art that she'd have to put on the fridge. This made me laugh so hard. 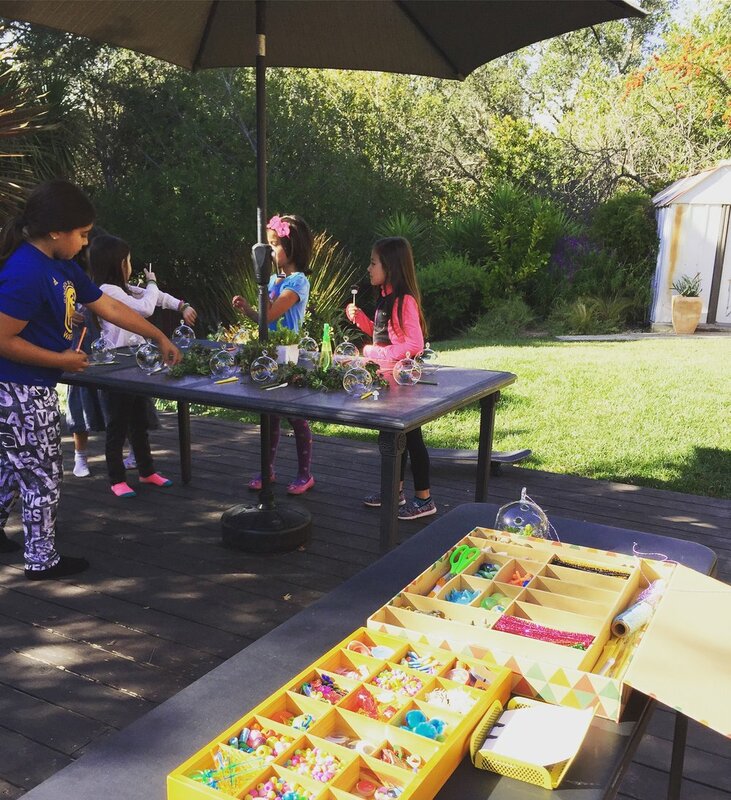 So not only are the succulent terrariums great party favors for kids, but also for all parents involved. Before starting the workshop, the kids had a grand time on the good ole trampoline. We then rolled into the succulent terrarium globe workshop and then took lots of great polaroid photos.